I’m going to have to take a break from artwork for a while. I have ideas, but all of them contain lots and lots of foliage. You know what? 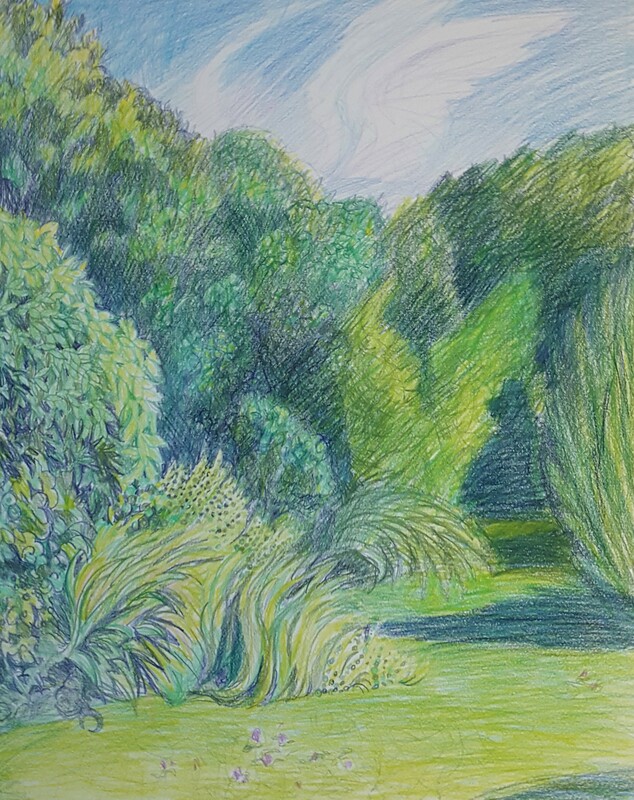 I’m sick to death of drawing lots and lots of foliage, and I’ve also about run out of green pencils. So, until I either come up with different ideas, or feel like drawing foliage again, I’m going to be on vacation. So, here’s a blast from last year, and I bid you au revior.